This category contains Joomla templates for websites for non profit organizations. We included non profit templates for political parties and politicians, as well as organizations for humanitarian aid in this category. 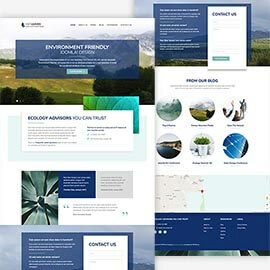 The Hot Leaves template is responsive Joomla! template appropriate for ecology activists. It's based on a design that's inspired by the plants and natural sceneries. It contains all these elements you need to create a successful website about nature and ecology. As its name indicates, this template is dedicated for nonprofit organizations that offer humanitarian aid anywhere it's needed. 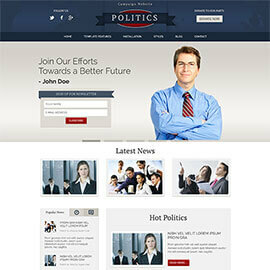 Politics is responsive Joomla template can be used for development of websites for political parties. It's based on a clean design and can also be used for business or corporate websites.